Mario Tennis Aces has been widely hailed as a return to form for the franchise, with fun gameplay mechanics that are compelling and lead to the kind of spontaneous narratives in Nintendo games that make them so enduring and beloved. That said, it seems that the game, which is otherwise surprisingly full featured, lacks a specific option that is making some people pretty mad at it- to the point of threatening to return the game for refunds. You see, the game does support an option to play tennis matches without any of the power ups and similar mechanics Nintendo has introduced for the game- but even doing so, the game is kept to the reduced best of three rule set. Traditional tennis follow a six set format, and while Nintendo has always offered streamlined tennis options in previous Mario Tennis games, it has also offered the option to have full fledged regular games, if the players so choose. 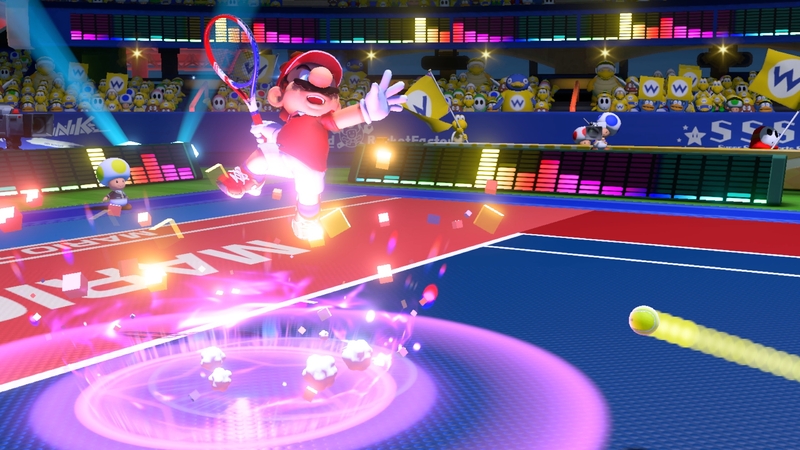 Mario Tennis Aces does not- which means, as VG247 points out, there are several folks who are actually unhappy with it, and considering returning the game for a refund. It does make sense- while on one hand, I want to say that you wouldn’t buy Mario Tennis for regular tennis games anyway, on the other, this is something that used to be in previous games in the series- so folks who bought this one expecting that option to be in weren’t wrong. Hopefully, this is a feature Nintendo just patches in. Mario Tennis is ridiculously fun, but why not allow options?